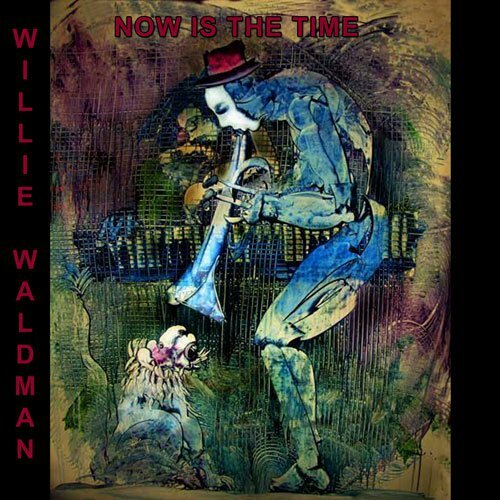 The name might not strike an immediate chord but Willie Waldman is one you’ll find in the liner notes of great artists and groups such as Banyan, Rob Wasserman, Perry Farrell and the late Tupac Shakur. While the list goes on, there’s much more to this trumpet players credit than simply recording as a sideman on many of today’s contemporary artists albums. Willie Waldman was born July 5th, in Santa Ana, California, summer of 1965. Since Willie was three years old he’s been infatuated with music, specifically one instrument, namely, the trumpet. For years he begged his mother for the prize until she finally purchased his first trumpet at the age of seven, with the exception that he would learn to play. Now living in Westville, In. (Just East of Chicago) Saturday mornings brought those lessons with Mr. Claude, Willies first music instructor. Soon thereafter Willie found himself in school and in his first large ensemble situation with the Chesterton High School Marching Band in Chesterton Indiana. The band had won many state and national marching band competitions that led to Willies eventual scholarship with Memphis State University. This is where Willie feels he received his first real training. Now a member of Herman Green & the Green Machine (The Memphis Giant that produced such greats as James Williams, Mulgrew Miller, Kirk Whalum and others) Willie was playing five plus nights a week. As Willie and Herman became better friends they decided to try playing their music with a different approach in hopes of reaching a younger audience. Something with more of a rock/fusion flavor. Their conception and direction led to the 1987 formation of Freeworld. Freeworld became an educational breeding ground for many of Willies life long friends and fellow musicians and the group toured with huge name acts like Stevie Ray Vaughn, The Robert Cray Band, Albert King and Joe Cocker. After several years of playing and touring with Freeworld, Willies drive brought him to California in 1994 to meet up with friend and engineer David Aron. At the time, Dave was working with Death Row Studios mixing and recording Snoop Dog’s latest release and Snoop wanted to polish the disc with a brass touch. Willie was in the City of Angels less than one week and was already recording with Raps biggest superstar! He went on to record with Tupac Shakur, The Dogg Pound, Dazz & Kurupt, K Ci & Jo Jo, Exhibit and Nate Dogg. Although the situation was different, the experience and musical level was never the less very much the same. It proved valuable as well because this eventually led to session work on studio soundtracks such as Tombstone, Under Seige 2 and 101 Dalmations and also many commercials. In 1997 Willie met Perry Farrell of Janes Addiction. Willie states, “Perry opened the door to the whole alternative rock scene for me. I did horn parts for Perry’s project Gobalee using the original Earth, Wind & Fire horn section and went on to meet Janes Addiction drummer Stephen Perkins.” A Waldman and Perkin’s friendship ensued and Willie played, wrote and co-produced the second Banyan recording Anytime at All including some of Willie’s original Memphis crew Clint Wagner and Ross Rice. Working with Clint and Ross also brought Willie yet another musical connection with the introduction of Rob Wasserman of the Grateful Dead. Wille recorded on Wasserman’s Space Island project and Willie was once again, an integral part of the project, writing, playing and co producing. Willies first album, The Willie Waldman Project was recorded largely in the summer of 2000. Produced and engineered by Dave Aaron, Willie has brought an array of talent to the table showcasing the musicianship of: Daniel Shulman (Garbage), John Molo (Mickey Hart/Phil Lesh), Tony Franklin (The Firm/Jimmy Page), Greg Kurstin (Sheryl Crow/Red Hot Chili Peppers) and Stephen Perkins (Janes Addiction/Banyan/Methods of Mayhem). An all original album, Willies thoughts are that this recording encompasses the roots of Memphis and the freeform of L.A. bringing an eclectic, jam oriented jazz album that will definitely knock your socks off! Twelve tunes strong, dip into the light Latin tinged Spanish Nights and the Acid feel of Surfin’ Dog and Happy Days to start. You’ll hear a definite Miles touch on Magic of Bear and Ursa Major while the back-beat of Rise Rise will make you want to shake your Memphis tail-feather! If avant-garde is your bag than it’s here as well. Take a trip on the Cygnus X1. Rounding out the project are the percussive “7 8” and “6 8” with just enough electric piano and Latin bump/funk to make any fan hussle. A testament to his style, experience and roots, Willie Waldman has arrived and the proof is here in the Willie Waldman Project. Simply said, Willie Waldman will be the “next big name” years and bios apart from today’s first project and you’ll still see his name on credits everywhere!